From New York Times No. 1 bestseller Jonathan Kellerman, author of KILLER and BREAKDOWN, BONES is a disturbing thriller in which psychologist Alex Delaware must delve deep into the mind in order to catch a serial killer. 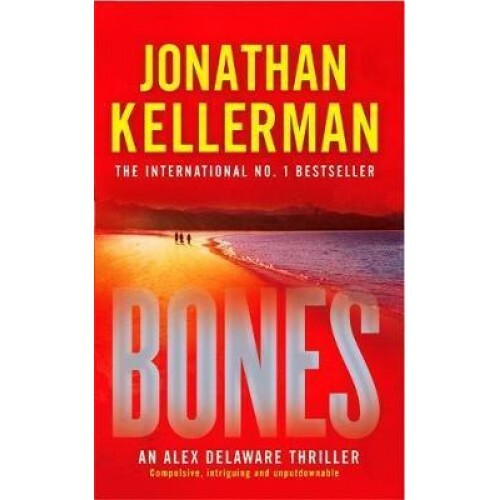 'Kellerman always writes intelligently, treading with compassion and understanding through the minefield of the human psyche' (Harpers & Queen). Jonathan Kellerman's thrillers are perfect for fans of Harlan Coben and Linwood Barclay. A woman's body is found in marshland outside LA. By the next morning the police have discovered the decaying corpses of three more women. They were all prostitutes except for the most recent victim; a classically trained pianist employed by a wealthy family, Selena Bass seems out of place in the grim tableau. Psychologist Alex Delaware is drafted in by homicide detective Milo Sturgis to help with the case. Details of the crimes suggest a serial killer is prowling LA's gritty streets. But when a new murder deviates from the pattern, derailing a possible profile, Alex and Milo must look beyond the suspicion of madness . . . and consider an even more sinister mind at work. There are no easy answers, for the darkest of drives and desires will fuel the most devious of foes.